It has been apparent for some time that the war against the Islamic State (IS) group and its forebear al-Qaeda is by no means the only show in town in the Middle East. In fact, for most of the time, the war on terror has been a sideshow. The attempt to bring Qatar to heel by closing its borders and effectively laying siege to it has shed light on the real forces competing for dominance of the region in the post-Western world in which we live today. “The first is led by Iran – its state actors including Iraq and Syria, and non-state ones the Shia militias in Iraq, Hezbollah and the Houthis. The second is the ancien regimes of absolute Gulf monarchs: Saudi Arabia, United Arab Emirates and Bahrain, while also including Jordan and Egypt. The third block is led by Turkey, Qatar, the Muslim Brotherhood and the forces instrumental in the Arab Spring. In this three-way fight, America’s allies are just as destabilising to regional order as America’s foes, and the campaign launched against Qatar is a prime example of this. Saudi Arabia has made a strategic miscalculation by attempting to impose its will on little Qatar. Because in so doing, it has upset a regional order on which it relied to confront Iran’s dominance in countries all around the kingdom. Put another way, if the Iranian-backed civil war in Syria brought Saudi and Turkey together, the Qatari conflict has done the opposite. In fact, it could lead to the construction of a common cause among Iran, Turkey and forces of Sunni political Islam – as bizarre as this may seem. The two powers would not fall into each other’s arms naturally, but they could come together amid the reckless and shortsighted policies of Saudi Arabia. The Iranian foreign minister Javad Zarif was in Ankara on Wednesday. Saudi Arabia and the Emirates have now bitten off more than they can chew. Their first miscalculation was to buy the Trump narrative. When you purchase a Trump product, you buy a lot more with it. There are side effects, not least the sheer amount of resentment, hostility and resistance Trump himself has created at home. Their second miscalculation was to assume that because Qatar was small, no bigger nation would come to its defence. Both Saudi and the UAE have significant investments in Turkey, one of which Abu Dhabi made after it had tried to unseat Recep Tayyip Erdogan in a coup. Both thought Turkey would be bought off. Their third miscalculation was to reveal their real beef with Qatar. It has nothing to do with funding terrorism or cosying up to Iran. In fact the Emiratis do a roaring trade with Iran, and they are part of the coalition accusing Qatar of siding with Tehran. Their real demands, which were conveyed to the Emir of Kuwait – who is acting as an intermediary – are the closure of Al Jazeera, de-funding of Al Arabi al Jadid, Al Quds al Arabi, and the Arabic edition of Huffington Post, along with the expulsion of Palestinian public intellectual Azmi Bishara. This is the media that reveals – in Arabic – the stories that these Arab dictators most want their citizens not to read. Not content with muzzling their own media, they want to shut down all media that reveals the inconvenient truth about their despotic, venal, corrupt regimes, wherever it is in the world. The opposite happened. Erdogan realised that if Qatar were crushed, he would be the only man of that camp standing. You have to listen to this guy! The War on Terror – Could we possibly try a different approach? You find a good deal of unadulterated donkey droppings in most of the mainstream media these days on the (in their view at least) related topics of terrorism, Islam and the Middle East. So it was with feelings of surprise and relief that I chanced upon a balanced and insightful piece in our very own New Zealand Herald, beloved daily rag of my hometown Auckland. Well, it’s not an original observation, but good on Richard Jackson for doing his best to keep the message out there in the public eye. We don’t hear so much these days about asymmetrical warfare – but it’s a concept we would do well to keep in mind. It’s fine and dandy for American Presidents to sound off about the cowardly nature of terrorist attacks – but when those presidents have the technology and the shameless gall to assassinate foreign citizens in their own countries without declaring war; and bombing those countries back to the Stone Age if they dare to object, it’s pretty clear that face-to-face combat in the traditional sense is only going to have one result. Check out what happened to Iraq after George Dubya’s ‘Operation Iraqi Freedom’ in 2003 if you have any doubts. Despite George the Son’s continued belief in the righteousness of his nation’s actions, there are undoubtedly Iraqi citizens who believe just as strongly that they have grounds for taking revenge. Possibly some Afghans too, one or two Iranians and Palestinians, possibly a few Egyptians . . . who knows? They may even feel strongly enough to wrap some explosives around their waist and blow themselves to a better world, taking a few others with them. Even if we can’t see the logic in such actions, we should attempt to understand the desperation that drives human beings to such extreme measures. You may remember that the so-called ‘Arab Spring’ got under way in December 2010 when a young man in Tunisia torched himself in protest at his country’s dictatorial government. I can’t imagine the anger, frustration and helplessness that drove 26 year-old Muhamed Bouazizi to immolate himself in public – and I hope to God I never have to find out. Why should we try to understand these people? Simply because, as Richard Jackson points out in the interview, it is extremely difficult to defend against attack by a human bomb, who doesn’t care if he/she lives or dies. Sad to say, the overwhelming signals we get on mainstream news media, and from Presidential hopefuls in the lead-up to the US election later this year is that the message is not getting through. I’m not going to waste words addressing the mindless outpourings of billionaire Donald Trump. Even Republican Party members in the USA seem to be having doubts about the wisdom of turning him loose in the Oval Office. I’m warnin’ that Ayatollah Khomeini! But who’s Number Two for the GOP? I was astounded to read reports of a speech by Ted Cruz where he asserted that, as president, he would rip up the Iran nuclear deal ‘on day one’. ‘Hear my words Ayatollah Khomeini,’ he is reported as saying, ‘if I am president and Iran launches a missile test, we will shoot that missile down.’ Now that’s scary! Ayatollah Khomeini, leader of the 1979 Islamic revolution that toppled the Shah’s government, actually departed this world in 1984. Admittedly his replacement, Sayyed Ali Hosseini Khamenei, has a surname that, to the ordinary culturally-deprived US citizen, may look confusingly similar – but political hopefuls aspiring to leadership of the free world have had 32 years to sort out the difference. After all, we lesser mortals are expected to distinguish between Teddy and Franklin D Roosevelt; not to mention the George Bushes, father and son. How difficult is it? At least those Iranian guys have plenty of other first names, and we don’t have to focus on a ‘Dubya’. Thank heavens Hillary Clinton is a woman, or we’d have serious problems. While we’re on the subject of Iran, I see in the news that a young citizen of the world, Reza Zarrab, has been arrested in the United States on charges related to the evasion of US sanctions against that country. The actual charges specify money-laundering and bank fraud – but there can be little doubt about the real reason the US government is pursuing yet another foreign national (think Julian Assange, Kim Dotcom). So, whose criminal is he, exactly? Interestingly, anti-government fanatics in Turkey have apparently taken to their beloved social media offering rewards to the American judge who refused bail to Mr Zarrab. Well, it’s not easy to find out what’s actually going on in the world these days, if it ever was, with all the conflicting stories. Certain background information, however, seems to me necessary for an understanding of this business. First, those trade sanctions were imposed in 1979 after an Islamic revolution overthrew the government of Mohammad Reza Shah Pahlavi, who had been re-installed 27 years earlier by a CIA-sponsored coup d’état. Oil-poor, NATO stalwart Turkey especially suffered economically from those sanctions, which they had loyally and selflessly supported for 30 years. There have been suggestions that Turkey’s AK Party government was involved in shady dealings with Mr Zarrab – but of course, if those dealings were aimed at evading morally questionable US trade sanctions, they would, of necessity, have been conducted out of the public eye – and would have required transactions in some medium other than US dollars. Well, I have neither the time not the interest to pursue further the case of Mr Zarrab. I would like to turn briefly, however, to another surprising news item: the announcement by Russian President Putin that he would be withdrawing his military forces from Syria. Russian planes have been bombing the bejabers out of Syrian opposition troops that have been waging a civil war for five years against President-for-Life, Bashar al Assad. Now, I have mixed feelings about Vladimir Putin – but you can’t deny that the guy does what he thinks best for his country. In this case, he apparently felt the need to make a point that no one has the right to overthrow a country’s government other than the citizens of that country themselves – and it’s hard to dispute that, whatever arguments United States administrations may advance to the contrary. You assassinate Saddam Hussein, and what do you get in his place? But I began with the subject of terrorism, and to that subject I wish to return. Another rumour the anti-government gossip-mongers in Turkey have been putting about lately is that Mr Erdoğan and his people are somehow working with the terrorists. They claim that they knew about the recent bombing in Ankara, but did nothing to prevent it. Which begs the obvious question: why would a democratically elected government connive in the murder of its own innocent citizens? I know some Americans believe George W Bush was behind the 9/11 attacks – but can he really have been that evil? In fact, it seems that Turkish police were expecting an attack on the Prime Ministerial HQ in Ankara, and turned back a suspicious-looking vehicle – whereupon the occupants decided to cut their losses and detonate. More plausible, at least to anyone not totally committed to blackening the AK Party government. More interesting, it seems to me, is the news that two cabinet ministers in the Belgian government offered their resignations after it was announced that Turkey had arrested and deported a DAESH militant who turns out to have been one of the suicide bombers involved the March 22 attacks. Turkey had done its job, as requested by EU countries, to turn back militants trying to cross into Syria. They had returned Brahim El Bakraoui to his country of origin, with a warning that he was a militant, and apparently he had also ‘broken terms of his parole from a nine-year sentence for armed robbery’. In spite of Belgian Justice Minister Koen Geens’ admission that ‘we missed it’, his boss, Prime Minister Charles Michel, has decided not to accept the resignations. I would have thought that, in the circumstances, ordinary Belgians would be baying for the resignation of PM Michel – but on the contrary, it seems that everyone is full of sympathy. Not much sympathy for Turkey, however, I gather. The tourism sector has already been hard-hit by Russia’s decision to keep its citizens at home in their frozen wasteland rather than allow them to take their customary shopping trips to Istanbul, or sunshine breaks on Turkey’s Mediterranean coast; and European warnings that Turkey is now a dangerous place for its citizens to visit. Not only tourists, it seems. On Wednesday the Dutch government announced that it was ‘temporarily’ closing its consulate-general in Istanbul because of a ‘possible terror threat’. Well, pardon me for saying, I think that’s pretty pathetic! I would expect high-level foreign diplomats to show a little more backbone – especially when nothing’s actually happened to them yet. Turkey’s own diplomatic HQs abroad were targeted in a sustained campaign of terror by Armenian fanatics in the 1970s and 80s – but as far as I know the Turks toughed it out, and kept their offices open. Nice place! Wonder what they do there all day? Still the Dutch are following a precedent set by the Brits in the early years of the millennium. After a couple of bombings in Istanbul in 2003, in which their own consul-general was unfortunately killed, the Brits built an impenetrable wall around their palatial consulate, and permanently ceased carrying out any of the normally expected consular services: visa issue, passport renewal, etc. I’m curious to know what they do there these days. The British Council, purveyors of English language teaching to benighted heathen the world over, also closed their Turkish operation in sympathy, leaving the Turks to get on with the job in their own inimitable fashion. Well, at least the Turks retain their sense of humour. A couple of local newspapers, possibly in retaliation, advised their readers, I assume with tongue in cheek, ‘Don’t go to Europe’. But as far as I am aware, Turkey’s embassy in Brussels remains open for business. MOSCOW (Reuters) – Turkey’s Renaissance Construction has won a tender to build a terminal and tunnel at Moscow’s Sheremetyevo airport, Mikhail Vasilenko, Sheremetyevo’s chief executive, said on Friday. The choice of a Turkish firm is unusual because Moscow imposed sanctions on Ankara after Turkey downed a Russian warplane near the Turkish-Syrian border in November. Vasilenko did not disclose the price or any other details, but Sheremetyevo said in January that the construction of a passenger terminal and a tunnel by 2018 would cost $630 million. Building a cargo terminal, for which a separate tender is expected, would cost an additional $70 million, it said. Turkish companies were banished from Russia’s construction, tourism and hotel business from Jan. 1. However, Renaissance Construction and Limak, the other Turkish firm which tendered, had submitted their bids from their Russian-registered subsidiaries, state-controlled Sheremetyevo said previously. Our latest TV drama series fix is the American political thriller ‘Homeland’. Now I have to tell you my first impression wasn’t positive. My Turkish Muslim stepson gave us the first series as a gift, and I took a look while Dilek was visiting family in the USA. Eh! I thought. Just another gung-ho American production glorifying their military/intelligence prowess and demonising Muslims – but I was wrong, and now we’re hooked. We’re way behind current on-screen activity – still working our way through the second series – so have no fear of spoilers. The two main actors, Claire Danes and Damian Lewis, and the show itself, have won numerous awards. Interestingly, according to the Wikipedia entry, much of the negative criticism comes from Muslim sources, who seem to consider ‘Homeland’ Islamophobic. Well, that’s not how it strikes me – and I’m watching it sitting alongside my Muslim wife. US Marine sergeant Nicholas Brody (Lewis) was held captive for eight years and tortured by Al Qaeda in Iraq, before somehow finding his way back to homeland America. How did he survive so long? How did he get away? Was he ‘turned’? Is he now a traitorous terrorist seeking to slaughter his own people? What about Carrie (Danes)? Do you have to be insane to work for the CIA? Is she in love with Brody, or just using feminine wiles to get at the truth? I’m not here to answer any of those questions – merely to register my appreciation for a US-made TV drama series that manages to address some of the real issues in the current ‘clash of civilisations’, and to explore some of the complexities involved in reaching a true understanding of what the hell’s going on in the world these days. Sergeant Brody is given respite from ill-treatment while a prisoner in Iraq in return for teaching English to the son of Al Qaeda head honcho, Abu Nazir. After becoming attached to the little guy, Brody discovers his mangled corpse amongst the rubble of an American drone strike. US government response to reports claiming civilian casualties is that they are merely ‘propaganda’. US Vice-President Walden is the official spokesman on the matter. Brody knows he is ‘a liar and a murderer’ and says so, loud and clear. Acting on a tip-off, the CIA mount an operation to take out Abu Nazir on a public street in Beirut. Clearly they take it for granted that they have every right to do so – assassinate a foreign national in a foreign country without consulting the local government. A top CIA man leaves the country with stolen property in a diplomatic bag – acting indignant, and threatening an international incident when searched by Lebanese authorities at the airport on departure. It all rings pretty true, and does seem to present the situation in a fairly balanced way. Somewhat less balanced was an online rant I came across the other day, courtesy of Huffington Post. A gentleman (I’m giving him the benefit of the doubt here) by the name of Doug Bandow had penned a piece entitled ‘Dump New Ottomans from NATO: Shoot Down of Russian Plane Shows Turkey to be Dangerous Ally’. I guess pretty much everyone in the world is aware that on Tuesday 24 November a Turkish air force F-16 downed a Russian Su-24 bomber ignoring repeated warnings that it was violating Turkey’s airspace. Interesting that this guy is including Vladimir Putin’s Russia in the group he’s calling the ‘West,’ suggesting that ‘Moscow is a better and more reliable partner than Turkey in the Middle East.’ Putin himself, it seems, is not so sure, naming the United States as ‘one of the threats to Russia’s national security.’ But leave that aside. The official US report confirms Turkey’s claim that the Russian pilot was warned repeatedly before his plane was shot down. The absence of a direct threat to Ankara is a red herring. The Russian plane was using Turkish airspace to get a better line for a bombing attack on ground targets in Syria. Syria is a war zone, and Turkey is understandably sensitive about foreign military aircraft straying into its territory. Who was being provocative there? The Huffington article goes on to make a number of outrageous statements about Turkey’s relationship with the West. ‘Ankara never has been a true friend of the West,’ Bandow says, citing the Cyprus issue as his main argument. He mocks Turkey’s revered founder, Kemal Atatürk, comparing him to North Korea’s Kim dynasty. His point that Turkey was only vaguely democratic in those days may be true, but ignores the fact that it was an attempt at the time by the military regime in Athens to annex the island of Cyprus that provoked Ankara’s response. In fact, Turkey was on the front line of NATO’s defenses against Soviet expansion through the Cold War. The existence of several nuclear-armed missile bases within its borders must have put Turkey high on the USSR’s list of targets to hit in the event of hostilities. That’s a big thing to ask of a friend, never mind a mere ally. Coming nearer to the present, Bandow concedes that the AK Party swept away ‘a coalition of feckless, corrupt and discredited parties’ when it was elected to power in 2002. He acknowledges that such coalitions were ‘hyper-nationalist’ and punished anyone with ‘liberal sentimentalities’. However, like most of the AK Party government’s opponents, his follow-up arguments are riddled with contradictions, meaningless assertions and logical non-sequiturs. One example: ‘President Erdoğan also is moving Turkey in a more Islamist direction. Although no one expects him to turn his nation into another Iran or Saudi Arabia, he has done more than end strict Kemalist secularism.’ What does this nonsense actually mean? If you were looking for further elucidation in the following sentences, you would search in vain. ‘Ankara,’ Bardow says, ‘has attempted to manipulate the U.S. into ousting Syrian president Assad, who controls the important ground forces containing ISIL’. On the contrary, US President Obama, as long ago as August 2011, was calling for Bashar al-Assad to resign. Another ludicrous claim in the article is that ‘Turkey is the latest example of alliance members seeking to drag the U.S. into conflicts of no interest to America’. What conflict? Is this guy actually suggesting that Turkey wants to fight a war with Russia? I would say the likelihood of Ankara having authorized its air force to shoot down a Russian plane without getting the ok from Washington is on the negative side of zero. So what conflict is he talking about? There are times while reading this article when I wondered if Bandow’s brain is actually connected to his typing finger. In spite of which, Turkey is the bad ally! 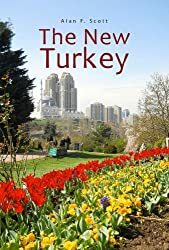 In fact, Turkey’s most serious internal problem, how to deal with its Kurdish citizens, had quietened down considerably by the turn of the millennium. It was George W Bush’s lying, murdering invasion of Iraq in 2003 that stirred things up again. The US administration enlisted the help of Iraqi Kurds in their ousting of Saddam Hussein – and what did they promise in return? An independent Kurdistan that would gratefully share its oil oil-riches with its big Western benefactor? So who is this guy Bandow? Well, certainly a rabid Republican, and no friend of the Obama administration. According to his Huffington bio, he is a Senior Fellow at the Cato Institute – a kind of Libertarian ‘think tank’ founded by major Republican Party sponsor Charles Koch, one of the world’s ten richest human beings as a result of his oil and chemicals empire. Charles Koch – champion of freedom, democracy and true religion in the world today. We’re lucky to have him. According to Wikipedia, Bandow was out of the club for a spell, having resigned from Cato in 2005 after he was found to have been involved in a bribery and corruption scandal involving American ‘lobbyist’ Jack Abramoff. Evidently such qualities are not totally at odds with the principles of the Cato Institute, however, and Bandow was accepted back not long after. Another of Doug’s interests is an organization calling itself the Institute on Religion and Public Policy. Interestingly, there is a link to this group on his Wikipedia page, but it goes nowhere, and the other page seems to have been removed. Well, I have to confess, I don’t know what this guy Douglas Bandow is up to, but it seems to me he is a mouthpiece for some shadowy organisations that make liberal use of words like freedom, democracy and religion while using their immense money power to implement a hidden agenda of their own. I read a news item today claiming that ISIS/Daesh are using quotes from Donald Trump’s speeches in their current recruitment campaign. So maybe there’s nothing very complicated at all about what these jerks are doing. They just want us all fighting each other so we’ll buy more weapons from them. What do you think? Probably you saw this one – but just in case you missed it . . . As Mark Twain is reputed to have said, ‘God invented war so Americans would learn geography.’ Seems not much has changed since his day. ‘Almost one-third of Republican primary voters would support bombing the fictional kingdom of Agrabah, according to a report released by Public Policy Polling on Friday. Don’t think you’re safe over there – we’re comin’ to bomb you mothers! ‘More than 530 Republican primary voters were polled this week on their support for Republican candidates and foreign policy issues including banning Muslims from entering the US, Japanese internment camps from the Second World War and bombing Agrabah, the kingdom from Disney’s animated classic, “Aladdin”. ‘In its poll, Public Policy Polling asked the 532 Republicans: “Would you support or oppose bombing Agrabah?” While 57% of responders said they were not sure, 30% said they supported bombing it. Only 13% opposed it.